You can simply go to admin dashboard Tools->Export Personal Data and enter the email or username and click on Send Request. The user will then receive an email confirming whether he/she really asked for the personal data stored on your site. 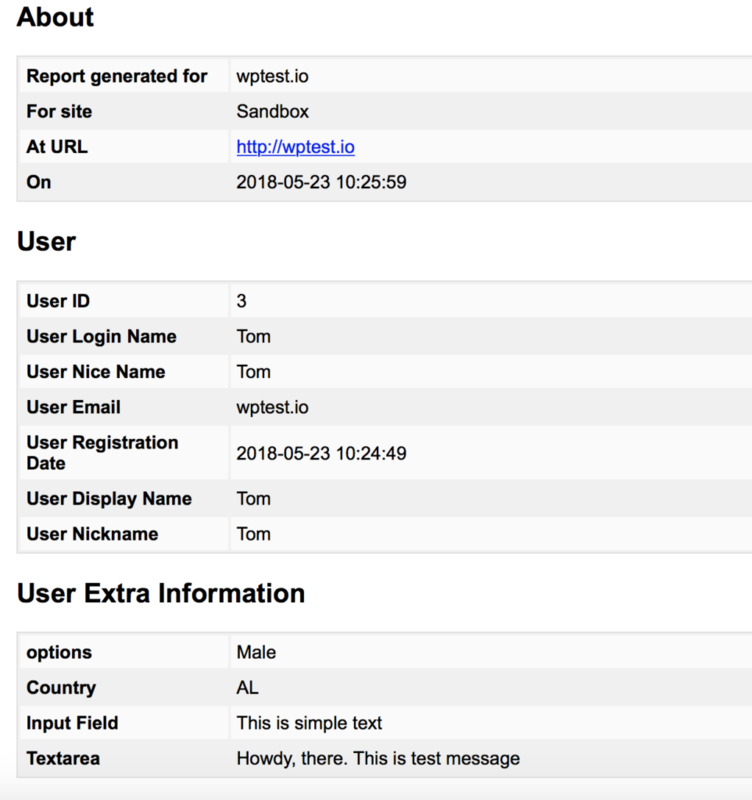 If the user accepts the request by clicking on the request link, the user will be listed as confirmed and an Email Data button will appear on your dashboard as shown on the screenshot below. Simply click on the Email Data button to send the user the personal data. The user will receive a zip file inside which an HTML file will contain all the personal information including the ones that are collected by User Registration Plugin.